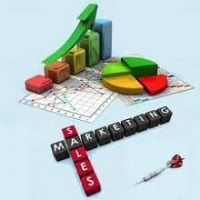 An efficient Sales & Marketing is at the heart of any successful business. Therefore, choosing only the highly competent staff for this task becomes very necessary. We, at Guru Placement Division, provide the organizations with the Sales & Marketing candidates, who have excellent communication skills, interactive personality, good persuasion skills, problem-solving skills, etc. We consider our each and every recruitment project as something more than precious, to complete which with high level of competency, we leave no stone unturned.